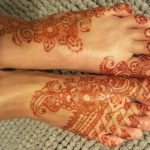 I understand that we all want darker henna color, quicker and longer, but that is no excuse to use unsafe additives to henna to achieve these goals. 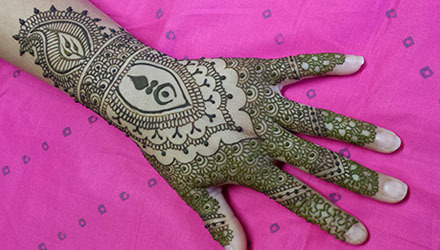 Use quality product (henna and oils), follow an easy well tested henna recipe, and follow good aftercare. These best-practices will yield excellent color safely. 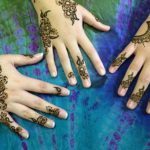 Some of the most unsafe henna additives are benzene, kerosene, and gasoline. In addition to burning the skin, these are carcinogens (can causing and cancer spreading agents). This picture is of a customer who was exposed to henna mixed with benzene, kerosene, or gasoline while at a tourist spot in Florida. This henna tattoo was done TEN MONTHS before these pictures were taken. She said the henna had a painful burning sensation while it was on the skin. It left a nice deep brown color though it was only left on for less than an hour. These additives can be harder to spot than PPD because they leave a brown stain rather than black. 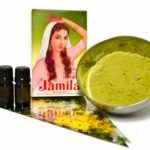 It’s important to understand how natural safe henna works so that can be sure you are not getting something dangerous. If someone doesn’t seem to understand how science works, do not get henna from them. If in doubt, skip the henna. 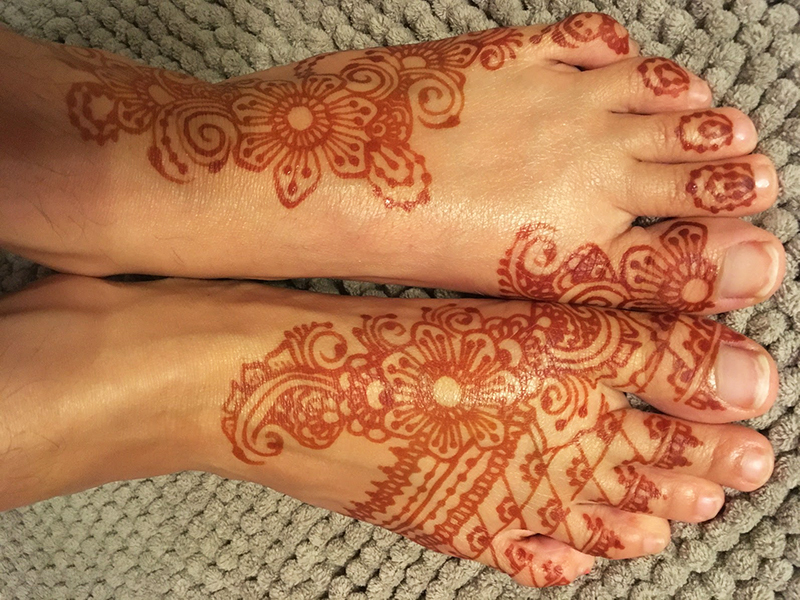 I ship to every corner of the USA, so I know there are henna artists in EVERY region that uses safe natural product. It’s worth it to take the time to find someone that knows what they are doing!